The BMW 640i is one of the most luxurious BMW’s that money can buy. Such a car requires a luxurious yet sporty wheel, which is why we fitted this 640i with 20 inch BD2’s in Matte Graphite. The subtle design of the wheel fits perfectly with the sleek styling of the car and help tie the overall look of the car together. We were able to fit this 640i with 20×9 fronts and 20×10.5 rears to give it the ultimate stylish concave look. 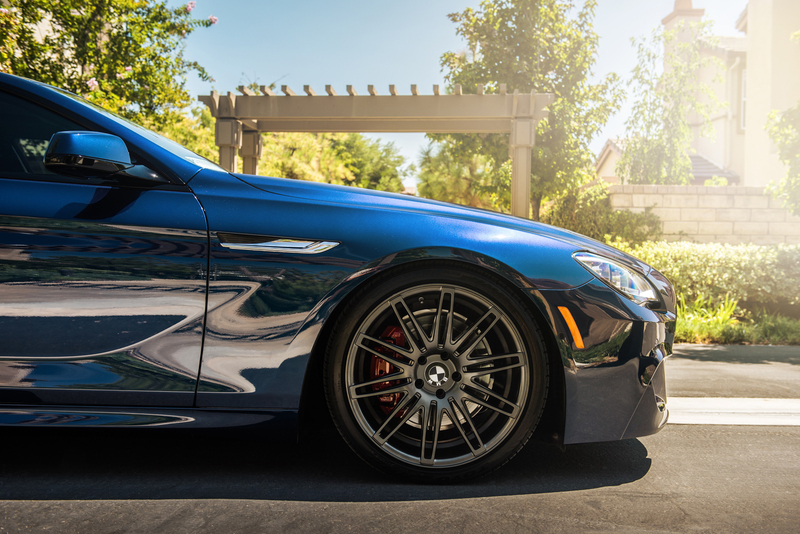 The larger wheels give the car a more aggressive look while still maintaining BMW’s well-known luxurious ride. Click here if you want to learn more about this BMW 640i. The BD2 is one of Blaque Diamond’s most desired wheels. The simplistic design and classic finishes are attractive to the widest of the audience. The BD2 is available in Silver w/ Machined Face and Gloss Black. The staggered sizes available are 20×9 / 20×10.5 / 22×9 and 22×10.5.